These startup companies were formed to license and commercialize technologies developed at UNC-Chapel Hill. 908 Devices is bringing the powerful capabilities of mass spectrometry out of the confines of centralized laboratories. 908 Devices’ products range from rugged, handheld chemical detection tools to compact, dedicated analyzers for researchers, serving a range of industries including safety and security, life science research, biotechnology, food safety and clinical diagnostics. Algynomics developed a diagnostic platform to identify individuals at risk for the development of chronic pain to improve targeted prevention and clinical trial patient stratification. Algynomics was acquired by Proove Biosciences in 2016. Altis Biosystems is a biotechnology research tools company that has developed a stem cell technology that recreates the human intestinal epithelium for drug testing and microbiome research. AngleFix Tech develops novel screw technology for orthopedic plates. Aquagenx provides portable water-quality testing products that detect E. coli bacteria. The Compartment Bag Test is simple to use and does not require complex equipment or electricity, making it ideal for place with fewer resources including developing countries and emergency/disaster areas. AskBio is advancing AAV gene therapy technologies developed in the Gene Therapy Center at UNC-CH. They have proprietary programs related to AAV capsid development, scaled-up manufacturing, and multiple therapeutic programs in the areas of neuromuscular, CNS and heart diseases. Bivarus develops improved patient satisfaction and experience survey tools. The Bivarus analytics platform utilizes a proprietary statistical framework to generate scientifically valid, real-time data using electronically delivered patient experience surveys. Comprehensive reporting/tracking tools and workspace features facilitate active data management and continuous improvement, resulting in safer, more efficient and profitable healthcare environments. Bivarus was acquired by Press Ganey in 2018. Blue Current is developing novel materials for improved battery performance. Capture Pharmaceuticals has developed a novel chelating compound for the removal of toxic metals, including gadolinium present in MRI contrast agents, lead, and radioactive metals. Cell Microsystems develops cell separation and isolation tools. The CellRaftTM technology permits rapid and efficient separation and isolation of single cells. ChemoGLO develops technologies that detect and remove chemotherapy drug contamination in hospitals, pharmacies, and laboratories through its ChemoGLO Wipe Kit and the Hazardous Drug Clean (HDClean) towelette cleaning system. Clinical Sensors is developing novel sensing technologies for use in hospital point-of-care devices. Among these are nitric oxide sensors for the early detection of sepsis to save lives, reduce complications in intensive care units (ICUs), and decrease health care costs related to the treatment of sepsis. Cortical Metrics develops quantitative, noninvasive measures of brain health that can address a broad spectrum of neurological disorders. Counter Tools is a not-for-profit business that provides training, software tools, and technical assistance to public health and disease-prevention organizations. DeltaSphere develops advanced 2-D imaging and 3-D computer graphics products for law enforcement and security firms. It specializes in creating accurate, photorealistic representations of the real world. The company’s integrated hardware and software solutions are widely used to capture and present 2-D and 3-D visual crime-scene reconstruction. Dualogics is a biotechnology company using proprietary technology to develop bispecific antibodies with superior properties to those generated using other methods. Enci Therapeutics is developing a monoclonal antibody to block the activity of SFRP2: a newly discovered protein expressed in a wide number of human tumors, that promotes angiogenesis and tumor progression in animal models. Entegrion develops biological and medical-device technologies to enhance the safety and availability of the human blood supply. Entegrion has developed a lyophilized blood substitute product which is far more stable than stored human platelets and effective at stopping bleeding. Enzerna Biosciences has developed a proprietary platform technology to engineer sequence-specific RNA endonucleases. EpiCypher develops and manufactures novel tools and reagents for epigenetics drug development and chromatin biology research. Epizyme is a clinical stage epigenetics company that is developing small molecule inhibitors of histone methyltransferases for multiple oncology indications. Eppin Pharma is developing an oral, non-hormonal male contraceptive. Ercole developed oligonucleotide-based RNA therapeutics that directed alternative splicing of mRNA. These splice-switching drugs represent a new class of drug with the potential to modify gene-encoded proteins and their production. Ercole Biotech was acquired by AVI BioPharma in 2008 and AVI BioPharma changed its name to Sarepta Therapeutics in 2012. Personalized cell therapy for the most difficult to treat cancers. 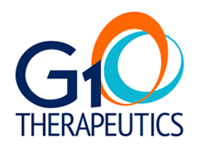 G1 Therapeutics is a clinical-stage pharmaceutical company developing small-molecule therapeutic agents to protect patient bone marrow and the immune system from chemotherapy-induced damage. GeneCentric Therapeutics’ proprietary platform utilizes tumor genomic information to enable oncologists and their patients to make informed decisions through clinical trial design, prediction of drug response, drug development target selection and improved therapeutic results. 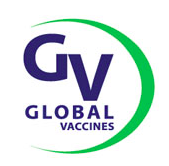 Global Vaccines is a not-for-profit company that develops vaccines against diseases such as HIV/AIDS, polio, dengue fever, malaria, and viral diarrhea (rotavirus), common in developing countries. Glycan Therapeutics has developed a chemo-enzymatic method for producing synthetic heparan sulfate, rather than sourcing from animal tissues. This method can also be used to generate a multitude of glycans for research use. Hibernaid, Inc. is a pharmaceutical company dedicated to development of medications to treat acute brain injury and other ischemia-reperfusion injuries. Company co-founder Dr. Lawrence Katz studies hypothermia mechanisms and their ability to improve outcomes for critical patients, and the company’s current lead induces clinically-relevant hypothermia to increase survival and prevent damage in acute critical care conditions. Hibernaid’s goal is to find therapeutic agents that can be administered to patients more broadly, quickly and easily with fewer side effects. Impulsonic uses high-performance computer graphics techniques and the latest research in acoustics simulation to develop high-performance and accurate acoustics-simulation algorithms for game and virtual reality applications, architects, acoustics consultants, and government and national defense applications. Impulsonic was acquired by Valve Corporation in 2017. Initos Pharmaceuticals has identified small molecules that enhance the pharmacological effects of oligonucleotide-based therapeutics. InnerOptic Technology develops 3D navigation and guidance software for use in minimally invasive image-guided surgical procedures. Inspire Pharmaceuticals focused on researching, developing, and commercializing prescription pharmaceutical products for ophthalmic and pulmonary diseases. Inspire Pharmaceuticals was acquired by Merck & Co. in 2011. KindHeart is a medical-simulation company specializing in surgery simulation systems that use real animal tissue, fully animated surgical simulators. KXTbio is a biotechnology company focusing on the development and application of reagents, assays and drug screening platforms for the study of G proteins and GTPases with the goal of developing small molecule therapeutics targeting protein-protein interactions. Liquidia Technologies develops precision-engineered drug particles that have the potential to dramatically improve the performance of medicines. The ability to modify nanoparticle attributes allows Liquidia to develop more optimized safe and effective vaccines and therapies for a wide variety of diseases. Meryx is a biotechnology company developing inhibitors of Mer Receptor Tyrosine Kinase for the treatment of hematologic and solid tumors including leukemia, lung cancer and melanoma. Mission3 is an educational non-profit company distributing an educational software application that tracks medical resident behaviors and skills linked to the ACGME milestones. Morphormics developed and delivered medical imaging software systems to dramatically increase efficiency and success rate in image-guided medical treatment planning, intervention, and diagnosis. Proprietary image analysis methods were developed that recognized and extracted anatomical structures from 3D and 2D medical images. Morphormics was acquired by Accuray in 2012. NanoCor Therapeutics, Inc. is a biotechnology company developing a gene therapy for chronic heart failure based upon delivery of protein phosphatase 1 inhibitor using the company’s proprietary Biological NanoParticle (BNP) technology. 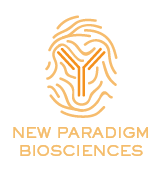 NanoCor Therapeutics was spun off from Asklêpios BioPharmaceutical, Inc.
New Paradigm Biosciences uses a proprietary humanized mouse platform to develop and test therapeutics. This platform allows the study of human specific pathways and the immune system that other in vivo model systems cannot achieve. Novan, Inc. is a clinical-stage biotechnology company focused on leveraging nitric oxide’s natural antiviral and immunomodulatory mechanisms of action to treat dermatological and oncovirus-mediated diseases. Oriel Therapeutics develops technology for drug delivery to the lungs to better treat respiratory and pulmonary disease. As of 2010, Oriel Therapeutics was acquired by Sandoz. Parion Sciences develops therapies to treat defects of the innate mucosal defense system in respiratory and ocular diseases. Path BioAnalytics develops cloud-based, software-enabled drug development tools for R&D and clinical trial enhancement. Assays include high-throughput organoid-based assays for CFTR and ENaC modulator response, sputum and bronchial alveolar lavage viscoelasticity, and measurement of mucolytic agent effectiveness. PharmatrophiX is focused on developing small molecule drugs targeting neurotrophin receptors for the treatment of neurodegenerative disorders. PhoenixSongs is a global life science company dedicated to developing and providing novel stem cell-derived model systems for research and drug discovery. Stem cell sources include iPS cells and stem cells isolated from donor tissues such as liver, brain, biliary tree and umbilical cords. Premirr Plastics has developed a catalyst system for recycling PET plastic, commonly found in water bottles and other commercial products, in an eco-friendly manner. Pulvinar Neuro has developed a high-quality, non-invasive research device for transcranial brain stimulation research. Qualyst Transporter Solutions is a biotechnology company providing hepatic drug transporter models, products and contract research services for accelerating the process of screening drug candidates. Qualyst Transporter Solutions was acquired by BioIVT in 2017. Redbud Labs develops and delivers advanced microfluidic technologies, including MXR, the world’s first fully modular microfluidic mixer. Biotechnology firms use MXR to make assays up to 10x faster. Redbud Labs leverages MEMS technologies conceived in the research group of UNC Professor Richard Superfine. Renaissance Cell Technologies was developing a liver progenitor cell therapy for treatment of liver failure. The company name was changed to Incara Pharmaceuticals and was later sold to Vesta Therapeutics. Renovion is a pre-clinical stage pharmaceutical company with a therapy for chronic inflammatory airway diseases. Ribometrix has developed a proprietary platform for discovering and characterizing the interactions of small molecule drugs that target RNA. Sandbar Oyster Company has developed substrates that improve the colonization of oysters. The result is improved native oyster production, habitat restoration and shoreline protection. SonoVol has developed a fully-automated benchtop ultrasound platform for researchers as an alternative to expensive imaging equipment. Spyryx Biosciences is developing therapies for treatment of cystic fibrosis. The lead candidate is a peptide that reduces sodium absorption through a natural, biological mechanism. StrideBio, Inc. is a gene therapy company focused on creating and developing novel adeno-associated viral (AAV) vector technologies. Our STRucture Inspired DEsign approach holds the potential to generate unique AAV capsids capable of overcoming the challenges of pre-existing neutralizing antibodies in patients. This powerful new approach has broad application, enabling gene addition, gene silencing, and gene editing modalities for rare diseases. 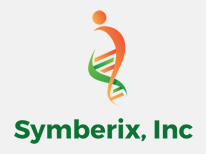 Symberix is developing pharmaceuticals that selectively target bacteria within the human microbiome to improve health. The lead program is focused on alleviating the GI toxicity of chemotherapeutic agents and NSAIDs. Compounds are being developed that inhibit beta-glucuronidase, an enzyme that reactivates drug metabolites in the GI tract and causes toxicity. Synereca Pharmaceuticals is developing orally active drugs that restore or potentiate the effectiveness of existing antibiotics. The company’s initial program focuses on inhibiting RecA, a key enzyme in bacterial DNA repair as well as in the development and transmission of antibiotic resistance. Syzygy Optics manufactures high-performance diffraction gratings for astronomy application. TheraLogics develops biopharmaceuticals to control and treat inflammatory diseases through the modulation of NF-kB activity. Diseases targeted by the company include chronic inflammatory arthritis, muscular dystrophy, and Parkinson’s disease. Viamet Pharmaceuticals is a clinical-stage pharmaceutical company discovering and developing small-molecule compounds that target metalloenzymes, with applications in fungal infection, oncology, and certain orphan diseases. XinNano Materials, a joint venture of Xintek, Inc. and TECO Nanotech Col, Ltd., is a world leader in producing high quality carbon nanotubes for field emission, thermal and electrical conducting applications. XinNano Materials has also developed carbon nanotube ink that can be easily applied to substrates to produce transparent conducting film and anti-static film used for touch panel, flexible display and EMI shielding applications. XinRay Systems is a joint venture between Siemens Medical Solutions and Xintek that develops and manufactures distributed x-ray sources for a broad range of applications including diagnostic medical imaging, homeland security, and industrial inspection. Xintek develops nanomaterial-based field emission technologies and products for a broad range of industries such as x-ray imaging, information display, telecommunication, aerospace and oil detection. Xintek’s major products include: carbon nanotube (CNT)-based field emission electron source, field emission grade CNT material, field emission x-ray source and CNT AFM probes. ZeroPoint Dynamics develops computer and network security products. Their cybersecurity products rapidly analyze e-mail, documents, and web content to prevent data breaches and loss.